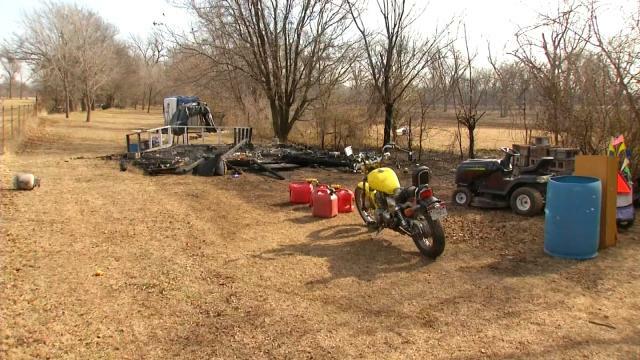 TULSA, Oklahoma – The Tulsa Fire Department says a storage shed fire critically injured a man Thursday morning. Firefighters were set to the shed in the 5100 block of North Mingo because of a report of a fire and when they arrived the shed was engulfed in flames. Fire Captain Stan May said the victim had lived in the shed for at least six years. Firefighters pulled the victim out and treated him for smoke inhalation before EMSA took him to the hospital. May says investigators don’t know how the fire started, but did say the man was using a gas generator for power.